The Trans Pacific Yacht Race is one of the most renowned yacht races in the world. With a running of 44 total races starting in 1906, the Transpacific Yacht Race to Hawaii is well into its second century as the longest of the two oldest ocean races in the world. The first race was the year of the great San Francisco earthquake, which literally altered the course of the event. The race was inspired by King Kalakaua, the revered Hawaiian leader of the late 19th century who believed that such an event would strengthen the islands’ economic and cultural ties to the mainland. But it didn’t happen until Clarence MacFarlane, a Honolulu racing sailor, invited several contemporaries in San Francisco and Los Angeles to race to the Hawaiian Islands. The race was scheduled to start in the early summer of 1906, but when MacFarlane sailed his 48-foot schooner into San Francisco Bay he realized there would have to be a change of plans. The city lay in ruins following the great earthquake 27 days earlier. But MacFarlane wasn’t easily discouraged. He simply changed the starting point to Los Angeles, and except for one nostalgic return to San Francisco for the start in 1939, the race has started in Southern California ever since. The starting line is now off the bluffs of Point Fermin in San Pedro at the southern edge of the City of Los Angeles. And after a train of days surfing in crystal clear Pacific swells with the kite up, the boats come flying into the finish off the Diamond Head lighthouse just east of Honolulu, establishing a distance of 2,225 nautical miles. The race is legendary. The course is a classic. The fleet is world-class. J World is excited about our entry this year, with a our team heading off to the islands on Monday, June 29. Be sure to check this blog for updates from the boat, and also visit our homepage for the link that will be posted to the satellite tracking system which will allow you to keep tabs on Team J World (and the rest of the fleet). Fastest elapsed time (monohull): 6 days 16 hours 4 minutes 11 seconds, Morning Glory (Reichel/Pugh maxZ86 maxi sled), Hasso Plattner, Kiel, Germany,2005. Fastest elapsed time (multihull): 5 days 9 hours 18 minutes 26 seconds, Explorer (86-foot catamaran), Bruno Peyron, 1997. Slowest elapsed time (monohull): 23 days 23 hours 55 minutes 4 seconds, Viking Childe (42-foot ketch), William Merry, 1939 (Note: race started in San Francisco; slowest ET from Los Angeles was 22 days 11 hours 36 minutes 15 seconds by Camille (Stewart 42), James and Ann Read, doublehanded, San Francisco, 2005). Total starters (44 races): 1,700. Largest fleet: 80 boats, 1979. Smallest fleet: 2 boats, 1932. Largest boat: Goodwill, 161 feet, 1953 and 1959. Smallest boat: Vapor, 25 feet., 1999. Oldest boats: Alsumar (70-foot Sparkman & Stephens yawl), 73 years; and Odyssey (58-foot yawl), 68 years, 2005. Oldest full crew: Bubala (Cal 40), six crew members ages 66 to 72 (average 68.3), 2005. Oldest doublehanded crew: Tango (J/133), Michael Abraham, 70/Phillip Rowe, 70, 2007. Youngest crew: On the Edge of Destiny (1D35), six crew members ages 17-23 (average 19.8), 2007. Fastest elapsed time doublehanded: 10 days 4 hours 4 minutes 19 seconds, Étranger (Open 50), Howard Gordon/Jay Crum, 2001. Longest day’s run: 393 nautical miles, Morning Glory, July 18, 2005. Shortest day’s run: 0, Viking Childe, 1939 (7 miles in 7 days). Closest boat-for-boat finish: 4 seconds, Kawamee over Marie Amelie (for 6th to finish in Class B), 1955. Closest first-to-finish: 4 minutes 31 seconds, Ragtime def. Windward Passage, 1973. Most races by boat: 14, Ragtime (first race 1973, latest 2007). 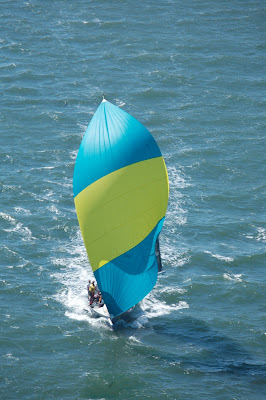 Most Transpac races by individual: 22, Thad Jones. Most Transpac and Tahiti races by individual: 25, Bob Dickson. Youngest crew members: Larry Folsom Jr. (Centurion, 1975), 11 years 35 days; Virginia Munsey (Silhouette II, 1957) 11 years 42 days; Samuel (Shark) Kahn (Pegasus, 2001), 11 years 11 months. International entries: 124 (record 9 in 2003). 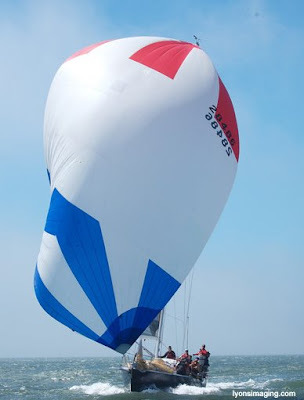 http://sailing-jworld.com/jworldwp/wp-content/uploads/2015/01/Header-Logo.gif 0 0 jworld http://sailing-jworld.com/jworldwp/wp-content/uploads/2015/01/Header-Logo.gif jworld2009-06-17 00:56:002015-01-05 19:58:24TRANSPAC!